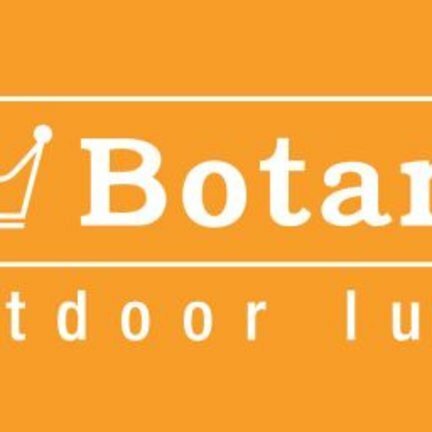 Visit the Royal Botania website. 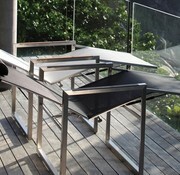 The NINIX chaise is a combination of comfort and refinement. 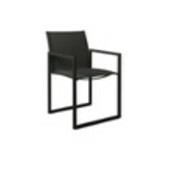 Offered in stainless steel and powder coated stainless frames with multiple color choices of batyline mesh fabric for the seat. Almost a pity to use outdoors. 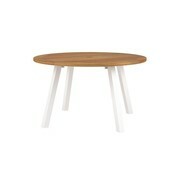 NINIX extendable dining table is both minimal and maximal in material selection and refinement. 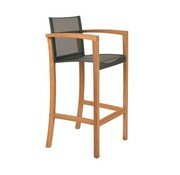 The hairline finish of the stainless steel frame, the woodwork in carefully selected teak optimizes ergonomics. Several frame finish and top options available. 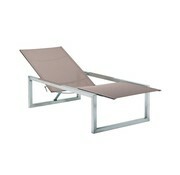 The NINIX RELAX chaise is a combination of comfort and refinement. 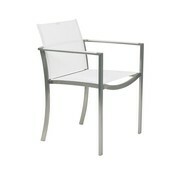 Offered in stainless steel frames with three color choices of batyline mesh fabric for the seat. Almost a pity to use outdoors. 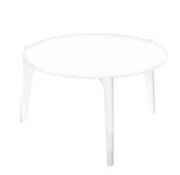 NINIX side table is both minimal and maximal in material selection and refinement. 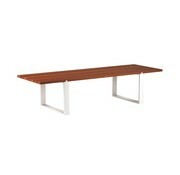 The hairline finish of the stainless steel frame, the woodwork in carefully selected teak optimizes ergonomics. Several frame finish and top options available. 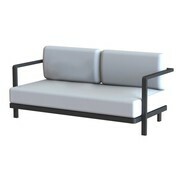 The NINIX TWO SEATER is a combination of comfort and refinement. Offered in stainless steel and powder coated stainless frames with multiple color choices of batyline mesh fabric for the seat. Almost a pity to use outdoors. 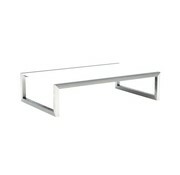 NINIX coffee table is perfect for both formal and informal outdoor living. 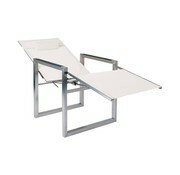 The hairline finish of the stainless steel frame and the durable table top options emphasizes it's ergonomic style. Almost a pity to use outdoors. Five color options available. We cherish our roots! 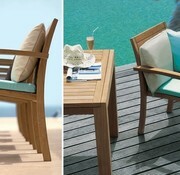 For many years the Royal Botania name has been associated with fine teak outdoor furniture. That is why the refinement that Royal Botania is known for is obviously found in Del Rey collection. Optional set cushion sold separately. With a focus on clean, angular lines, the Alura Lounge is both distinctive and modern in appearance. Alura is available as sofa, lounge chair or sectional. Frame available in three color options. Cushions are additional and sold separately. 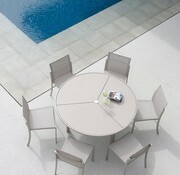 The ABONDO collection is ideal for outdoor living. 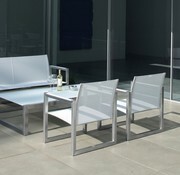 The aluminium frame has been shaped by the principles of ergonomics, mixing straight lines and smooth curves. Our Nenuphar fibre is the closest you can come to looking and feeling like natural fibre. 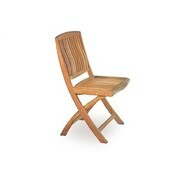 What makes the XQI folding dining chair exquisite? 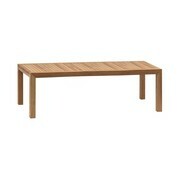 It's the perfectly balanced appearance in the warm teak wood and the superb comfort offered from the batyline seat. 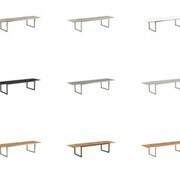 Batyline available in bronze, black or white. 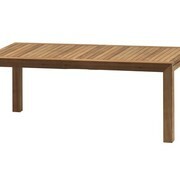 Available in teak or mahogany, the beams of the Vigor collection are jointed to the aluminum frame by obvious dovetail shaped strips. 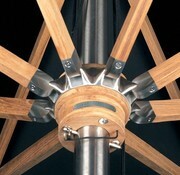 An old technical solution, that proves today to work aesthetically as well! The picnic-set taken to an unseen level! 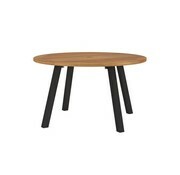 Low nesting side tables with a high degree of class. We came too late to invent the umbrella, but not to reinvent it. With fine woodwork, the shiny stainless steel fittings, the superb acrylic covers, you will realize, the Royal Botania umbrellas are way beyond what you have seen before. Sheer luxury. Look up at the sun, and you will realize where we got our inspiration for the O-ZON collection. When struck by its blinding appearance, just put on your sunglasses. 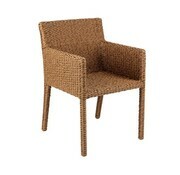 O-ZON dining armchair available in various color combinations. 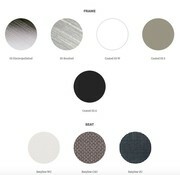 Look up at the sun, and you will realize where we got our inspiration for the O-ZON collection. When struck by its blinding appearance, just put on your sunglasses. 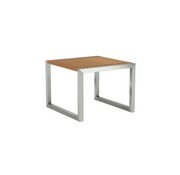 O-ZON dining side chair available in various color combinations. 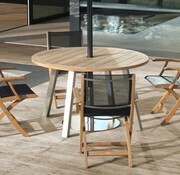 NINIX dining armchair is perfect for both formal and informal outdoor dining. The hairline finish of the stainless steel frame and the durable batyline sling emphasizes it's optimized ergonomics. Almost a pity to use outdoors.